SOLD by James Holvander. Call 0411 330 208 for more information. Sienna Apartments is a young and luxurious security gated boutique complex that offers an enviable lifestyle. Designed with an emphasis on quality, facilities include an in-ground swimming pool with cabanas, children's covered playground and a private BBQ area, with peaceful natural bushland as your backdrop. -	A large, spacious floor plan with a light-filled combined lounge/dining area with a large picture window giving you a lush outlook towards the tree line. -	Elegant stone waterfall edge kitchen with pendant lighting. Good storage with pantry, and quality appliances including dishwasher and 5 burner gas cooktop with a large plumbed fridge cavity. 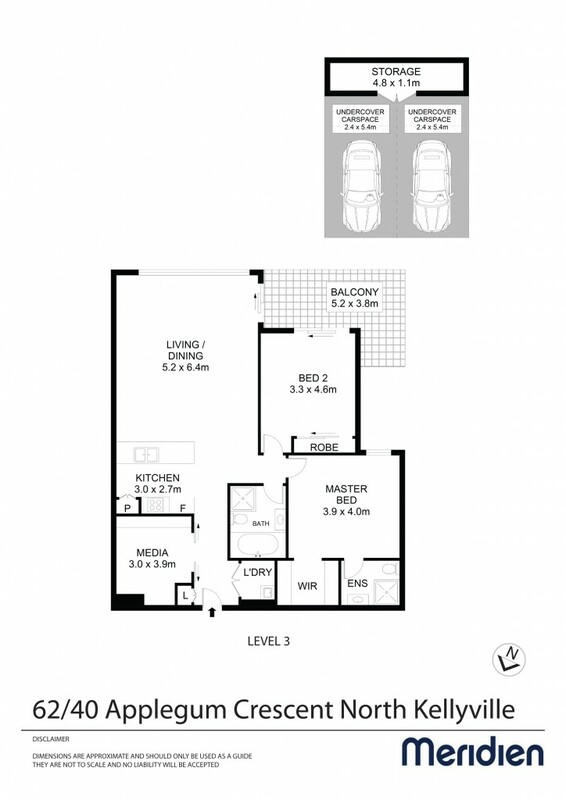 -	Master bedroom with walk-in robe and fully tiled ensuite. -	Bedroom 2 features built-in robes and access to the balcony. -	Study/multi-purpose room is versatile with cavity sliding doors to create privacy. -	Well designed and fully tiled main bathroom with free-standing bath. -	Covered, Easterly facing balcony with provision for a ceiling fan. -	Ducted air, quality floor coverings, and downlights throughout. -	Secure building with all external doors and gates requiring a tag or key for access, plus an internal security system. -	Two secure car spaces with an attached storage cage situated next to the lift enabling effortless access. -	The apartment is pet friendly (subject to approval). Perfect for downsizers, busy professionals or investors, the location is both prestigious and convenient, with easy access to North Kellyville Square, Woolworths, ALDI, and just 2 km from the Rouse Hill Town Centre. With pleasant walking tracks at your doorstep, the location offers a relaxed lifestyle.